Exhibits antioxidant activity and supports the body’s natural response to oxidative stress. The botanical name for Turmeric is Curcuma longa. However, it’s most common names are Haldi and Indian saffron. It contains curcumin, potassium, alkaloids, copper, iron, dietary fiber, manganese, protein, sucrose, vitamins, zinc, and riboflavin. Through these constituents, Turmeric Powder may also exert anti-inflammatory, antioxidant, antiseptic, anti-aging and blood thinning, stimulant, skin toning, rejuvenative and stimulant properties for enhanced immunity and naturally healthy living. This Curcumin supplement for immunity may help in rheumatoid arthritis and ulcerative colitis. It may help in healthy cell care management and may also help in reducing pain. In Ayurveda, Curcuma Longa has been used for protecting the liver and kidneys from carcinogenic conditions. Moreover, it may be beneficial as an excellent detoxifier. It may facilitate toxin removal from the body which is a highly useful application today’s stressful and unhealthy life. Additionally, Turmeric Powder for skin may have wide use. It may help in wound healing, fighting skin infections and may impart natural skin wellness. 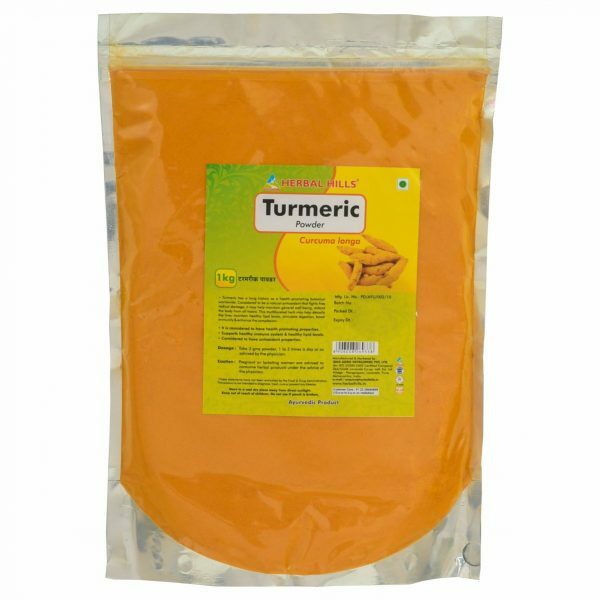 Furthermore, this Turmeric herbal supplement may also help in acne, pimples, dark circles and removing heat from skin tissues. Turmeric may also have a use as a brain tonic. It may fight depression and stress. Also, it may have a strong effect on neurotransmitter functions of the brain. 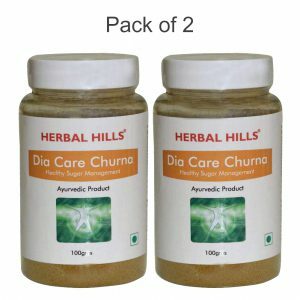 Herbal Hills produces the best Curcumin supplement with the help of modern and highly advanced technologies. It is one of India’s leading and most trusted herbal brands. A team of experts, with decades of experience in Ayurveda, creates these herbs in the facility which has ISO, GMP, and Halal certifications. Moreover, Herbal Hills has created a novel concept of herbal extract which are concentrates derived from the herbs. Hence, it gives speedy, complete and effective results.